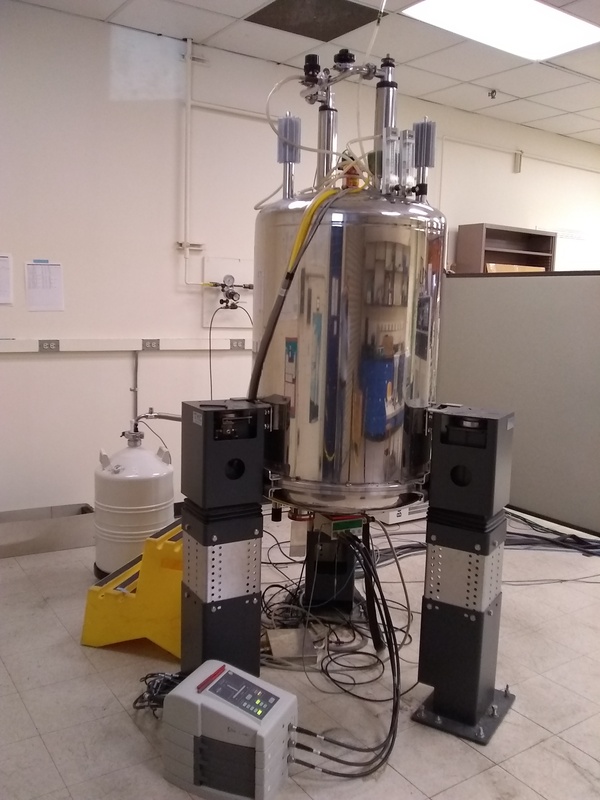 Our 500 MHz Bruker Avance DRX Spectrometer is our most popular instrument for X-nuclei experiments or for high- and low-temperature experiments. It is typically equipped with a 5 mm Bruker 1H / X Broadband observe probe with the X channel tunable from 15N - 31P. Other probes are also available for specialized use. 19F NMR used to monitor dissociation of drug-delivering nanoparticles in vitro. 31P NMR used to monitor ATP and ADP concentrations in ischemic and drug-treated rabbit hearts.